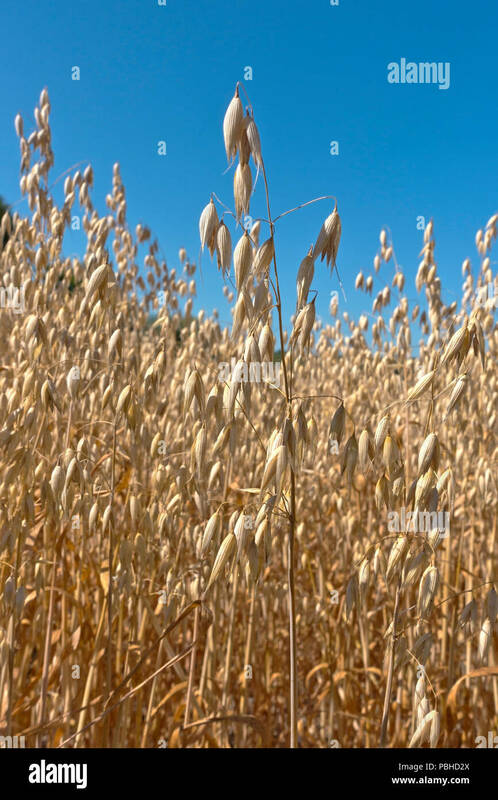 Oat field with reduced grain yield due to extreme drought summer 2018. Kernel size reduced. Record breaking summer heat and drought.